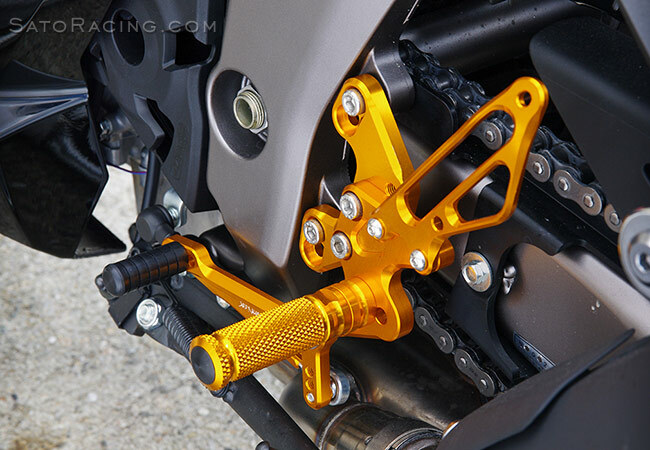 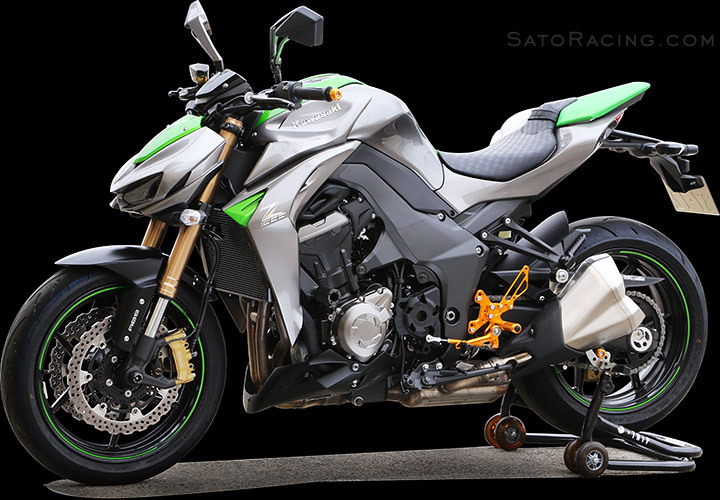 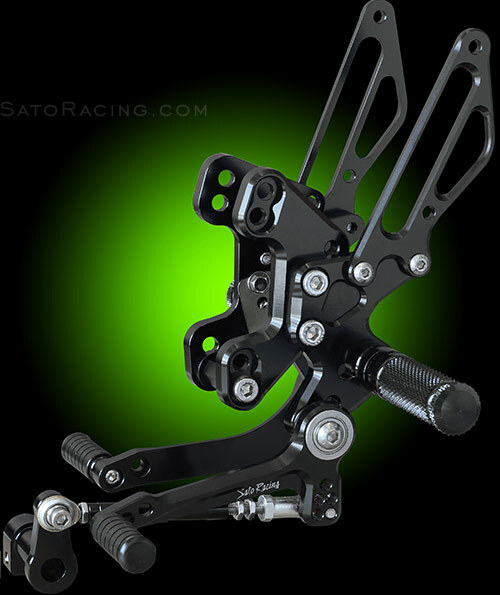 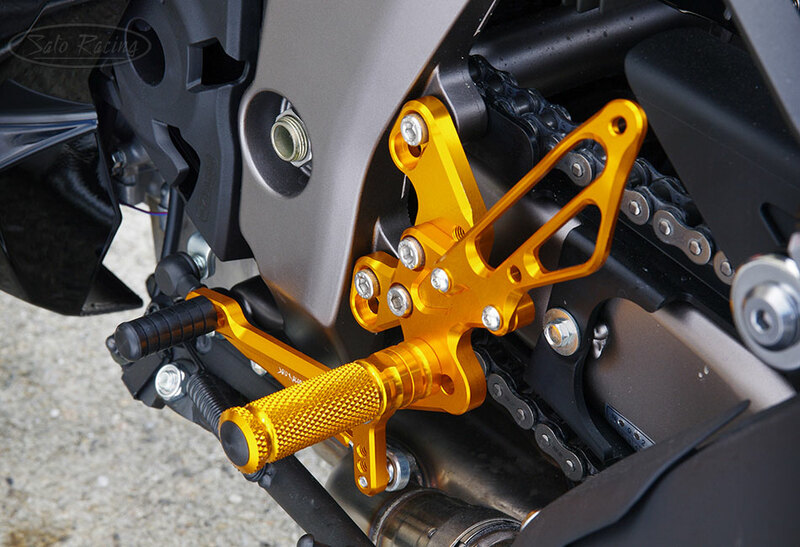 SATO RACING Rear Sets for 2011-18 Ninja 1000 models, along with Z1000 ABS, are track-engineered and CNC-machined from high strength billet aluminum, with your choice of Black, Silver, or Gold anodized finish, with stainless steel bolts. 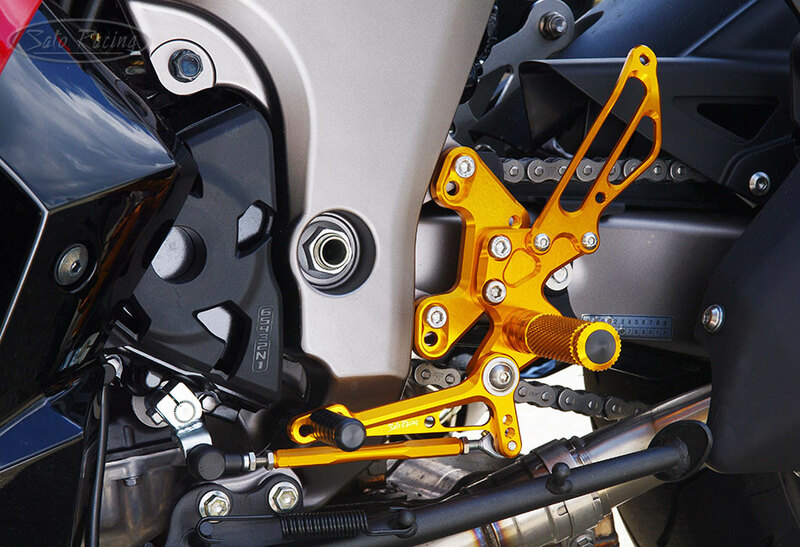 Modular design is fully adjustable in a wide range of positions, so you can find the ideal position for your riding style. 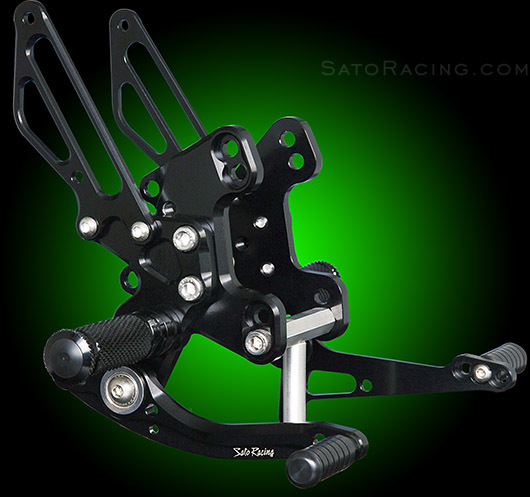 change arm designed to provide reverse (GP-style) shift pattern. 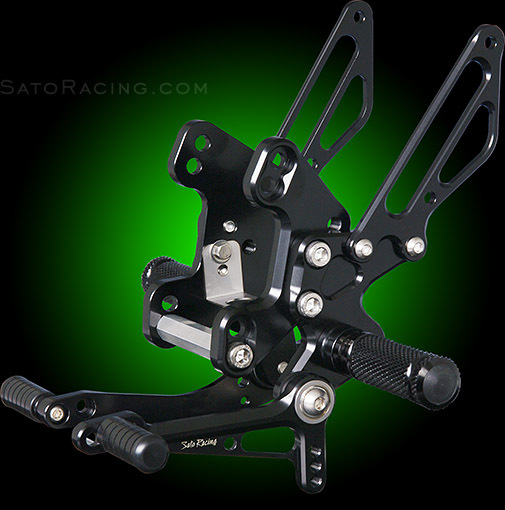 The shift and brake pedals utilize double stainless bearings for smooth, precise pedal movement. These Rear Sets are designed for compatibility with the stock brake light switch hardware and ABS. 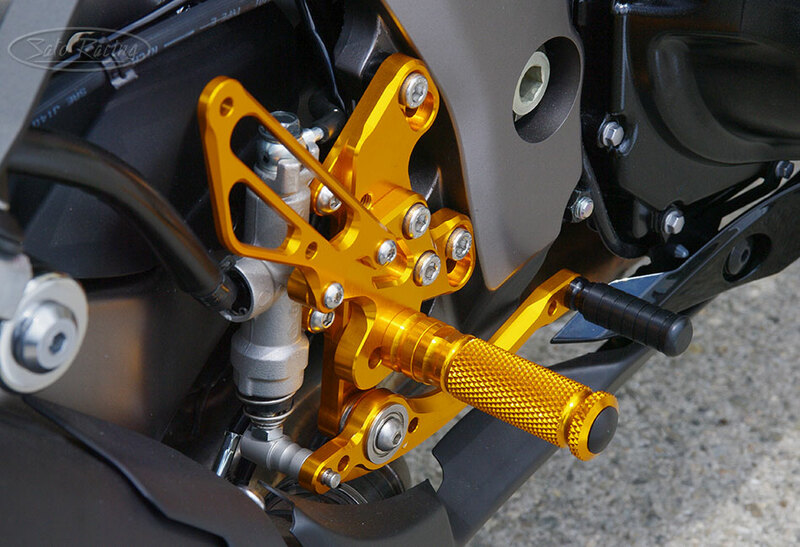 The Foot Pegs have a finely knurled pattern for excellent grip and a comfortable, intuitive feel. 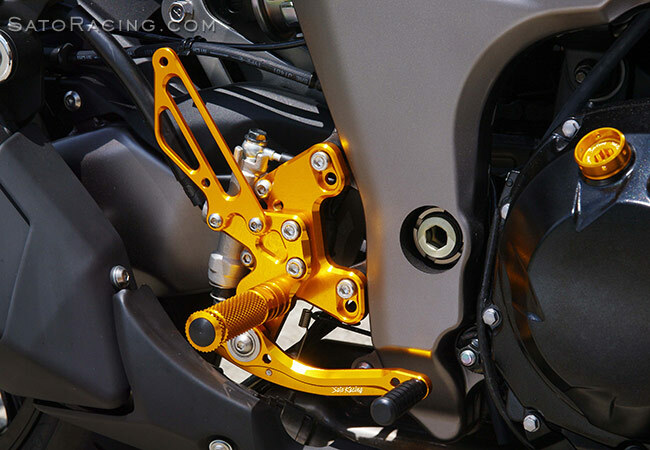 Standard (stock shift) Rear Sets shown above. 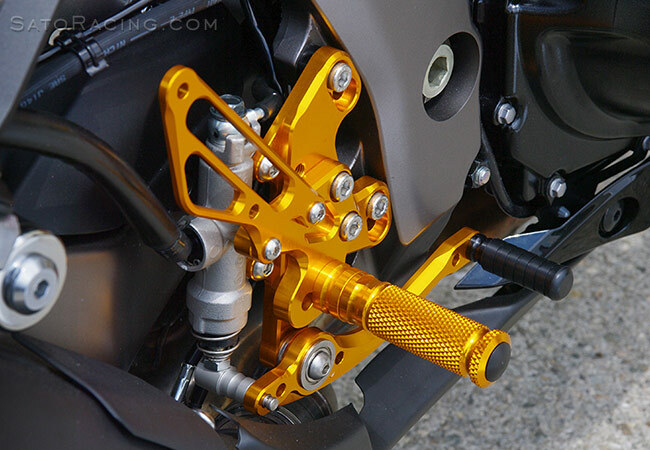 Reverse Shift Rear Sets are also available. 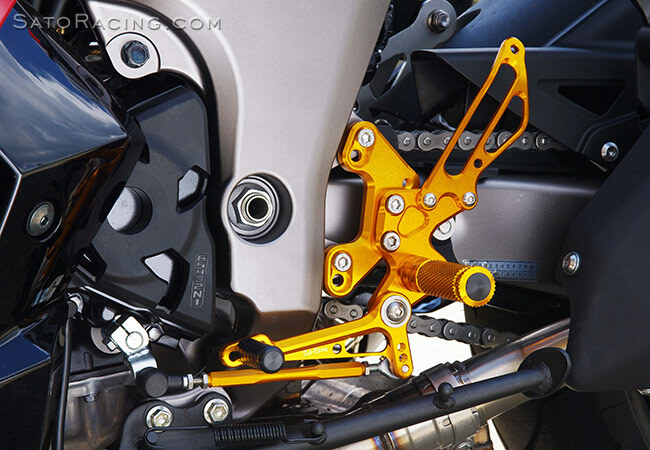 The positions of the Base Plate, Step Plate, and Foot Peg are each indepentently adjustable.